FIBA today in Zaragoza, Spain, conducted the draw to determine the preliminary round pools for the 2016 FIBA Men’s U17 World Championship, and the USA was drawn into Group A, alongside Egypt (FIBA Africa gold medalist), Turkey (FIBA Europe bronze medalist) and Taiwan (FIBA Asia bronze medalist). Three-time U17 World Championship gold medalists, the USA will look to defend its title June 23-July 3 in Zaragoza. The USA earned its qualifying spot for the 2016 U17 worlds by capturing gold at the FIBA Americas U16 Championship with a 5-0 record. 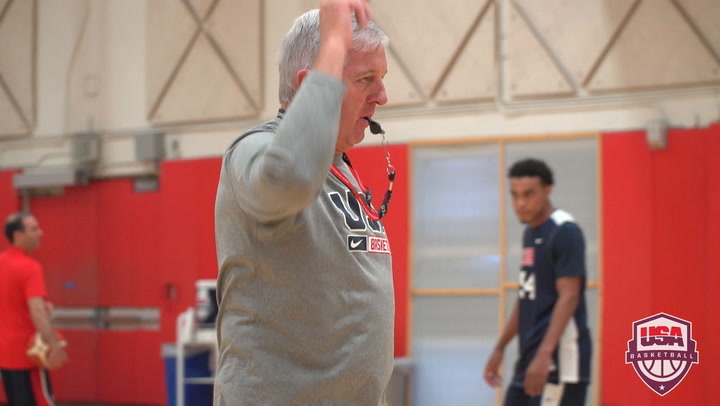 Seven-time USA Basketball gold medalist head coach Don Showalter (Iowa City H.S., Iowa), who in 2015 coached the USA U16 National Team to a gold medal at the FIBA Americas U16 Championship, will return for his eighth-straight summer with USA Basketball as head coach of the 2016 USA U17 World Championship Team. 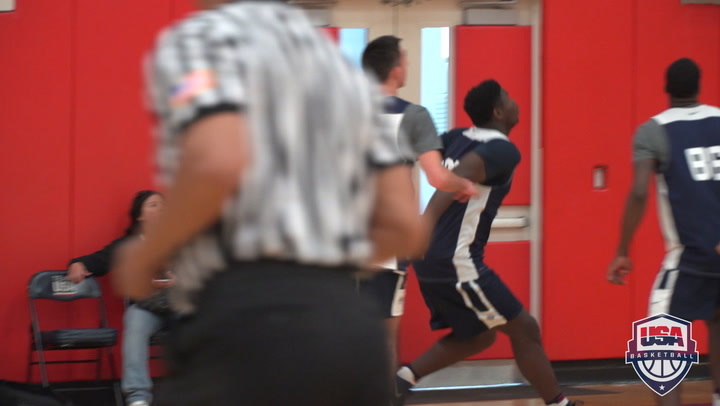 Also selected to remain on staff after assisting Showalter and the 2015 USA U16 team to a gold medal and a berth in the 2016 U17 World Championship are prep head coaches Miles Simon (California Supreme AAU) and Sharman White (Miller Grove H.S., Ga.). “Obviously all the teams had to play well to qualify,” said Showalter. “I think Turkey could be as good as anybody in that group, it’s their first time to qualify and they’ll be excited to play. And you can’t overlook Egypt or Taiwan. So, we’ll have to come in with a great mind-set, which our kids will do. But it’s not just about the teams in our group, there are a lot of excellent teams in the tournament. “There are 15 other teams that are preparing to beat us, because that’s who they know they have to go through in order to win a gold medal. If you look at Group B, which is our crossover pool and that’s a really good group of teams. Group B includes Argentina (FIBA Americas bronze medalist), Lithuania (FIBA Europe silver medalist), Mali (FIBA Africa silver medalist) and host Spain, which finished fourth at the 2016 FIBA Europe U16 Championship; Group C features Australia (FIBA Oceania gold medalist), Canada (FIBA Americas silver medalist), China (FIBA Asia gold medalist) and Finland (FIBA Europe sixth place); while nations drawn into Group D include Bosnia and Herzegovina (FIBA Europe gold medalist), Dominican Republic (FIBA Americas fourth place), France (FIBA Europe fifth place) and South Korea (FIBA Asia silver medalist). The U.S. will open play on June 23 against Taiwan and will face Turkey on June 24. Following a day off, the USA will cap preliminary play against Egypt on June 26. After playing each of the teams in their preliminary round group, all teams advance to the round of 16 on June 28. Winners from the round of 16 advance to the medal round quarterfinals on June 30. The semifinals will be played on July 2, and the finals will be on July 3. 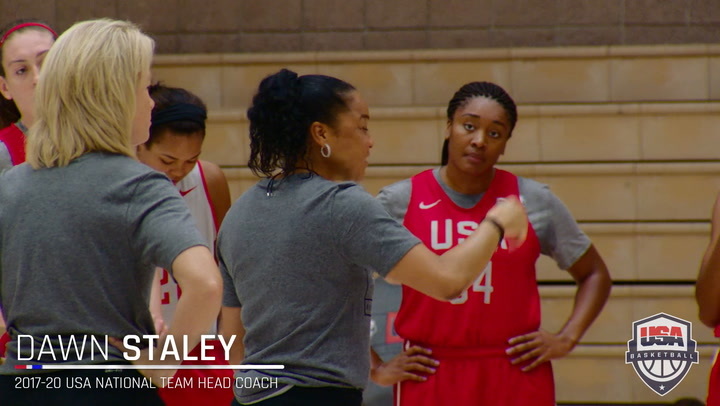 Training camp to determine the 12-member USA squad will be held June 11-22 at the U.S. Olympic Training Center in Colorado Springs, Colorado, and in Spain. Athletes eligible for this team must be 17-years-old or younger (born on or after 1/1/99) and U.S. citizens. First held in 2010, the FIBA U17 World Championship features the world’s top 17-year-old and younger players. FIBA currently holds U17 World Championships every two years. Under the direction of Showalter, the USA has earned the gold medal in all three editions, compiling a perfect 23-0 record overall. In the inaugural FIBA U17 World Championship for Men, the USA captured gold with a perfect 8-0 record and Bradley Beal was tabbed MVP of the biennial event. In 2012, Jahlil Okafor earned MVP honors and was joined on the all-tournament team by Justise Winslow as the U.S. again captured gold. Most recently the U.S. made it three-straight after winning gold to up the USA's U17 record to 23-0 as Malik Newman earned tournament MVP honors and Diamond Stone listed on the all-tournament team. 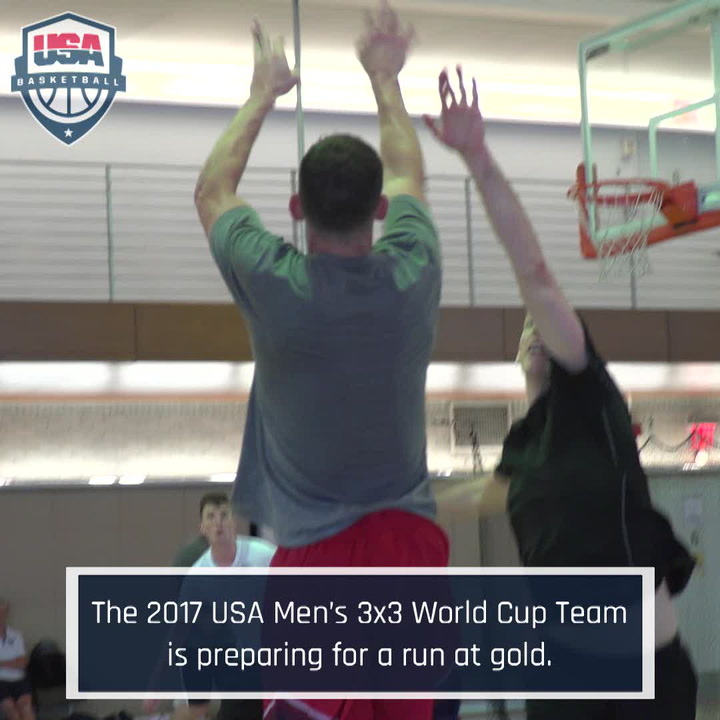 The U.S. men have earned all three available U17 gold medals; Australia (2012, 2014) has earned a pair of silver medals; Poland (2010) has one silver medal; and Canada (2010), Croatia (2012) and Serbia (2014) each have collected one men’s U17 bronze medal. 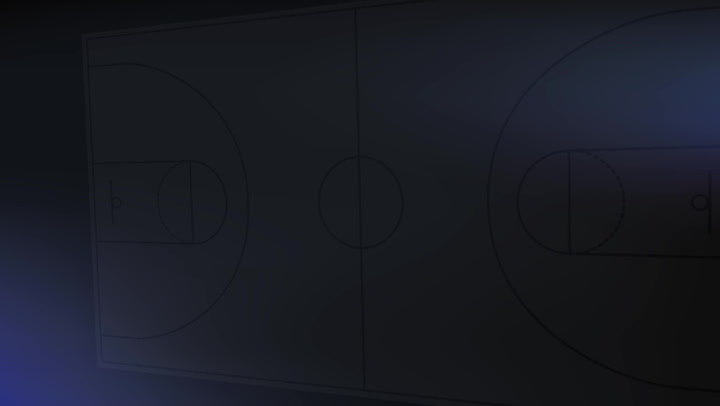 This summer marks the fourth men’s U17 for Argentina, Australia, Canada, China, Egypt, Spain and the United States; the third U17 appearance for France (2012, 2014), Lithuania (2010, 2012) and South Korea (2010, 2012); while it is the first FIBA U17 Men’s World Championship for Bosnia and Herzegovina, Dominican Republic, Finland, Mali, Taiwan and Turkey.